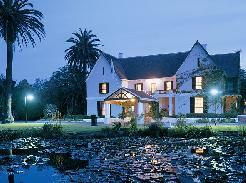 Protea Hotel King George, renowned for old-fashioned attention and service, overlooks the famous George Golf Course. Stylishly designed rooms and luxury suites offer superb accommodation, all amenities and services offer comfort for both holiday and business travellers. 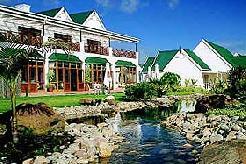 This upmarket hotel is merely a ten minute leisurely drive from the George airport, three minutes from the CBD and a short drive from the beach. 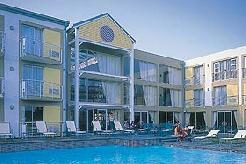 Protea Hotel King George provides affordable elegance on the doorstep of all the Garden Route has to offer. 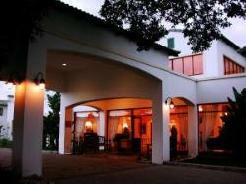 The sprawling hotel complex is situated in George, on the eleventh fairway of the highly rated George golf course. 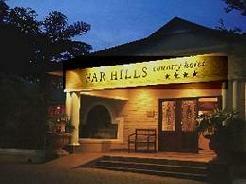 Only 8km from George Airport, 3km from George Station and minutes away from central town. Three of the country`s top hiking trails are in the area, namely the Otter trail, Tsitsikamma Trail and the Outeniqua hiking trail. The spectacular Sedgefield lakes district, with its abundance of bird life and nature trails is nearby for nature lovers and the Outeniqua Choo-tjoe steam train, travelling between George and Knysna, is a popular attraction. George has the only National Steam Railway Museum in the country. Other places of interest nearby include Victoria Bay, well known as one of the finest surfing venues in South Africa, also ideal for bathing. For the action junkies, one can enjoy Bunji jumping off the Gouritz River or the Storms River bridges. 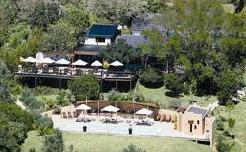 Game drives, whale watching, paragliding, quad biking, shark diving, abseiling, to mention a few, can be arranged. Golfing is on the hotels` doorstep - Walk out of your room and onto the fairways of one of the top golf courses in South Africa! The Fairway Terrace Restaurant & Patio seats 110 and the Rex Tavern, 80 GUESTS. 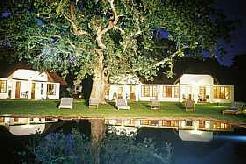 There are two swimming pools and a kiddies playground. 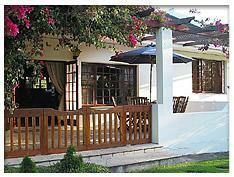 The hotel also has a terrace overlooking the George golf course and the spectacular Outeniqua mountain range.